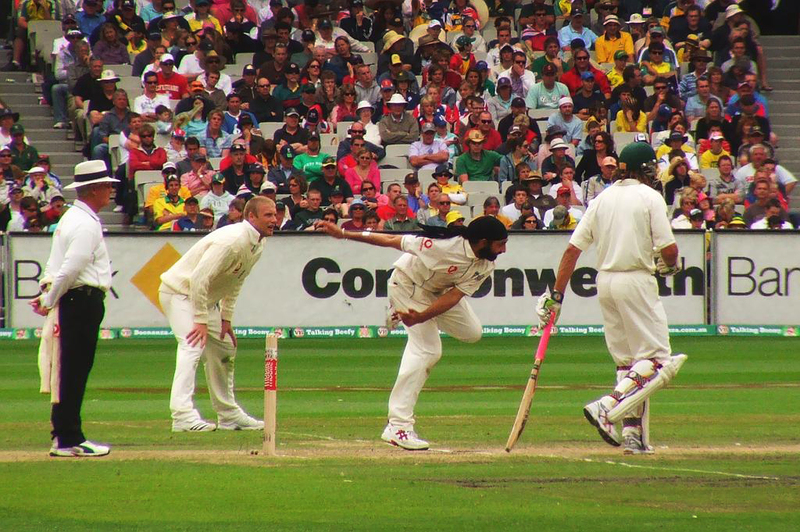 Turban clad as he stepped up to the crease, Monty Panesar has become an unmistakable figure in the world of cricket ever since he first put on the whites of the three lions in 2006. The Sikh quickly became a cult hero amongst the Barmy Army and with his incredible enthusiasm, less than stellar batting and wicket taking prowess, there was an inevitability about Monty’s popularity. A high quality bowler who always has a smile on his face, Monty embodied every cricket fan who’d love nothing more than to play for his country at Lords. Panesar’s spotlight was soon taken however, as the incredible Graeme Swann became England’s first choice spinner and the lovable Sikh spinner had to settle for a bit-part role. However in recent months things haven’t quite been going to plan for Monty, after news broke of his fine for urinating on a bouncer outside a nightclub, he surely must have feared for his career. Having said that you only imagine how his cult status would be intensified, drunken escapades will do nothing but endear him to the Barmy Army, but in a sport that prides itself on gentlemanly conduct and sportsmanship, what Monty did, just wasn’t cricket. This worry must have intensified after Panesar was released by Sussex following the incident and the subsequent media backlash that followed. Things however have brightened up slightly for Panesar over the last couple of weeks, to follow his signing by Essex it appears bouncer-gate has been forgotten and his absolution complete as he was called up to the Ashes squad for the tour of Australia. This all poses interesting questions, does cricketing etiquette matter any more? Should Panesar be allowed to once again pull on the whites of England? Plenty of other instances indicate that cricket’s status is no longer revered in the same way it once was. David Warner is back into the Australian line up after his assault on Englishman Joe Root and of course there was the infamous incident with Flintoff and ‘that’ pedalo. Even more recently was the divide amongst followers of the sport regarding Stuart Broad’s decision to stand his ground, when the umpire failed to give him out during the recent Ashes series. The purists argued Broad was bringing the game into disrepute, whilst what seems to be the modernist approach was that Broad was well in his right not to walk. The hysteria over the integrity of cricket with Broad however, is something that Panesar seems to have evaded. Whilst I personally welcome Panesar’s re-introduction into the international fold, one point must be raised; would the selectors have been so forgiving if there was another international class spinner available? Or is Panesar the beneficiary of circumstance, in that the search for a decent alternative to the Sikh have fallen short? Either way despite committing a stupid but ultimately forgivable offence, Monty has once and for all proven that English cricket no longer is ruled by gentlemanly conduct and that like most other sports, it’s definitely a results business.